Physicians are faced with levels of job burnout that is absolutely off the charts. After all, it seems like the paperwork continues to pile up despite efforts get administrative tasks done. The pressure to get this done makes their days drag so much that they aren’t sure how they are going to live through each shift. Sometimes it can just leave them feeling absolutely out of gas. Although locum tenens, depending on their position, tend to have a more flexible schedule and less paperwork than staff physicians, they are still at risk of experiencing burnout in their careers. It’s important to understand what burnout is and how it can affect your job performance. Check out these four facts about physician burnout. Working as a physician puts you at the highest chance for experiencing burnout. However, the most exhausted doctors typically work in critical care and emergency medicine. Plus, surgeons, family physicians, and internalists reportedly have about a 50 percent chance of experiencing work-related burnout, according to Medscape’s 2015 Physician Lifestyle Report. Believe it or not, older physicians are less likely to report feeling burnout than younger ones, according to studies. For example, physicians over age 66 reported a 22 percent burnout rate compared to physicians ages 46 to 55 who experience it at 53 percent. Apparently, leadership roles are tied to burnout reports as well. Certain issues like “too many bureaucratic tasks, spending too many hours at work, and income not being high enough” are some of the causes of stress Medscape listed in its report. The most serious complication that can arise with overworked physicians is medical errors that are linked to the phenomenon. Most dire, is when physician burnout occurs for surgeons. Nearly 9 percent of surgeons believed that they had made a medical error within the past three months, according to a Mayo Clinic survey of nearly 8,000 surgeons. Even more terrifying is that the majority of these errors were described as due to “individual error” and not systematic. Physicians who reported these errors tended to have high levels of emotional exhaustion as well as signs of depression. That’s one of the scarier facts about physician burnout. It’s also a good reminder that in order to take care of others, you need to take care of yourself first! With such colossal weigh on the shoulders of practicing doctors, opting for an earlier retirement is ideal for many. But, how often is the hospital burnout actually forcing doctors out of practice? Well, apparently 60 percent of physicians wouldn’t even recommend the career to their own children. Six out of 10 said they would retire earlier than originally planned. However, planning to retire is a whole different ballgame than actually retiring. Sometimes, working as a locum tenens is an option that gets physicians away from so much paperwork but still allows them to practice medicine. The fourth and final of the facts about physician burnout is that the American healthcare system may be to blame. Everyone knows that the healthcare system in the United States is very complicated for everyone involved, from insurers, physicians, to patients trying to figure out how to pay their bills. 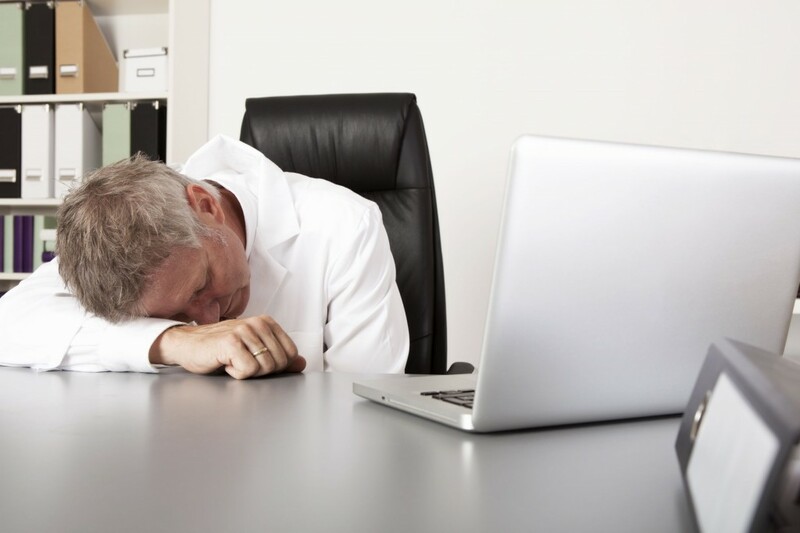 But, one study revealed that physicians in the United States were not as well-equipped to handle exhaustion from work and life conflicts than their European counterparts. We can attribute part of this to the need for better stress management, too. What are some ways you handle your stress and burnout as a locum tenens? Share with us your facts about physician burnout in the comments below!